It isn’t often that you get a lake view in Durham that’s just across the street from your front door, but we’ve got a great one for you at 1311 Golden Eagle Lane! This three bedroom home is coming to the market on Thursday, August 2, 2018, and with a price tag of $225,000, it should be at the top of your must-see list. 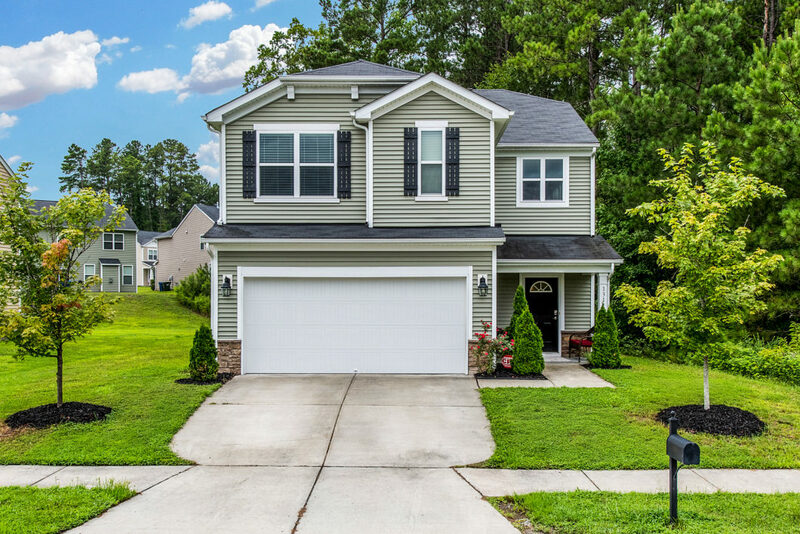 A natural buffer area makes this home feel ultra private, yet it’s conveniently located right in the middle of everything you’re going to love about the Cardinal Lake subdivision, including its neighborhood amenities like a pocket park and swimming pool! Don’t worry about calling the painters or shopping for new floor coverings – this is an easy-move-in listing with brand new carpet and fresh trendy paint. A spacious family room opens to the well-appointed kitchen, boasting upgraded cabinets, a full suite of appliances, and even a working island. The “wow factor” doesn’t end with the kitchen, either. You’ll immediately be impressed with the size of the master suite – it’s like your own relaxing oasis from the hustle and bustle of everyday life. Guest bedrooms and a loft space offer the oft-desired flex space which will allow you to decorate as you see fit and make this home your own. Nestled between Highways 85 and 98, you’ll find this neighborhood a close commute for many Durham destinations and if Falls Lake calls your name on the weekends for camping, boating, or exploring its trails, you won’t have far to drive to answer the call. We can’t wait to show you around. Contact us at Renee@HREGSells.com or 919-868-4383 to schedule your visit!